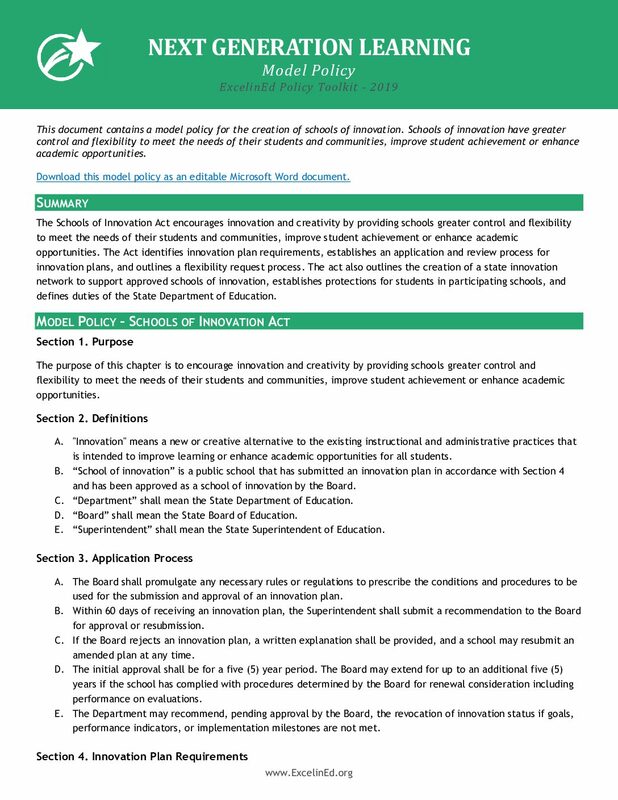 #AskExcelinEd: How Can States Promote Next Generation Learning? ExcelinEd’s strategy to advance mastery-based, personalized learning expanded in 2018 to encompass a broader range of innovative models and strategies comprehensively described as next generation learning. Next generation learning reimagines learning for the 21st century by providing innovative educators flexibility and support to meet the needs of all students. States throughout the nation are exploring opportunities to provide schools with the flexibility and support needed to ensure students graduate with the knowledge and skills necessary for college or career. These innovative, more student-centered strategies and approaches include personalized learning and mastery-based education. 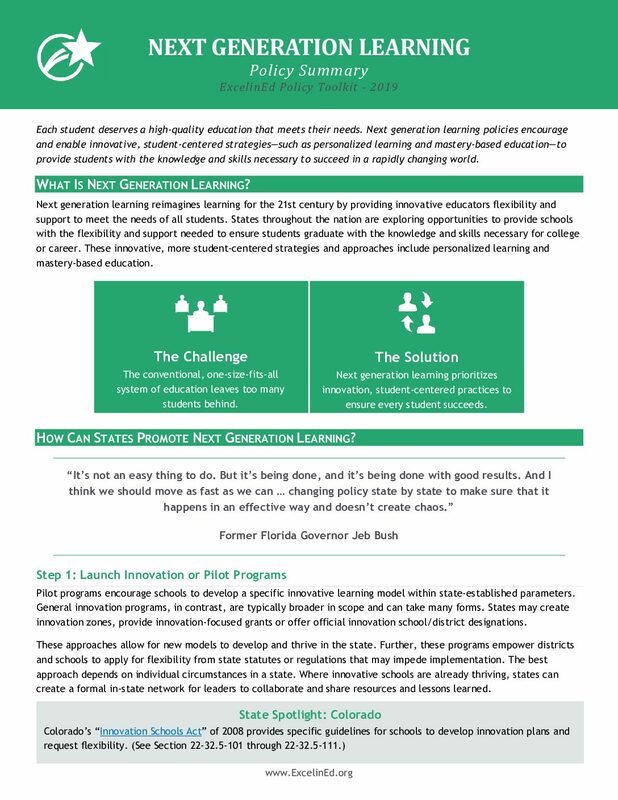 This week, ExcelinEd released its Next Generation Learning Policy Toolkit to support states working toward next generation learning. 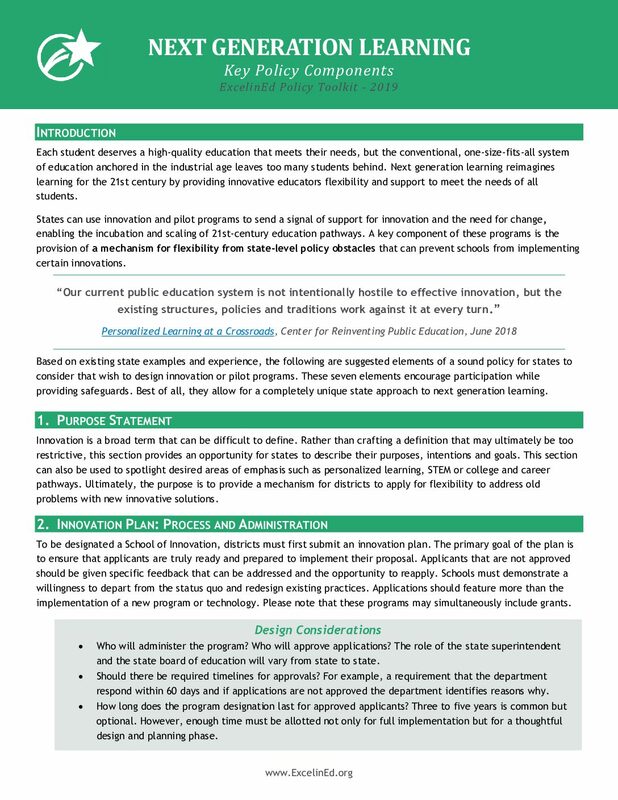 Explore these resources to learn how your state can prioritize innovation, student-centered practices and ensure every student succeeds. Learn more about Next Generation Learning.